Learn how to recognize and prevent disease in butterflies. FOUR weeks of online disease education and receive your “Advanced Disease Prevention Certification” seal and certificate upon successful completion of the Course and Final Exam. 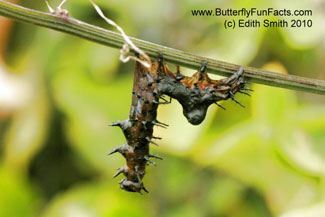 This is a LIVE course taught by Edith Smith of Shady Oak Butterfly Farm. Signs and Symptoms; Methods of Disease Transmission; OE; NPV; Fungi; Bacteria; Breeding Stock; Checking for Disease; Standard Operating Procedures, Journal; Causes of Disease; Safety Precautions to prevent disease; Sanitization of eggs, pupae, food, surfaces, and containers; and more! The beginning of each week for four weeks, students receive their course material via email. A short quiz is included each week. This quiz is due by Saturday midnight. An email mailing list is used for class discussion. Students are not required to receive or participate in this mailing list. The end of the fourth week students receive their final exam. The final exam is due the following Saturday by midnight. This gives a minimum of seven days to fill out the final exam. Quizzes, vocabulary words, and final exam are optional unless the participant wishes to receive a course completion certificate. Join the Association for Butterflies now as a Professional and take it for free! Enthusiast may take the course for $25.00. Non AFB Members may take the course for $150.00. Week Five: Final Exam - Week of March 11th. Due March 16th. Edith and her husband Stephen have been butterfly farming for over 18 years. Their farm, co-owned with their daughter Charlotte, raises 30 species per year. In addition to raising butterflies, Edith searches the fields and woods for anything she hasn't raised and in the process, has learned a good deal about diseases and parasitoids. Edith has been teaching this course every year since 2007. Each year it is updated with new photographs added to illustrate diseases and everything that pertains to disease in butterflies and raising butterflies. Edith worked with Dr. Leellen Solter and Amanda Lawrence as they edited the material before it was offered as a course. The OE material was edited by Dr. Sonia Altizer and Dr. Karen Oberhauser first as a presentation (presented by Edith) at an AFB Symposium.